For startups on the path to success, there’s often one key moment or decision that catapults them from obscurity to the big leagues. 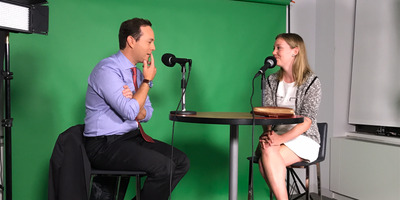 This year on Business Insider’s podcast, “Success! How I Did It,” founders of companies such as PayPal, Lyft, and Dropbox shared how they built their companies into massive successes. And while a lot goes into building a company, the leaders we’ve interviewed all had surprising stories. Sometimes it’s an inspired decision that leads to success; other times it’s luck and timing. Listen and read below for the key moments that turned Zillow, Tinder, Warby Parker, and others into household names. 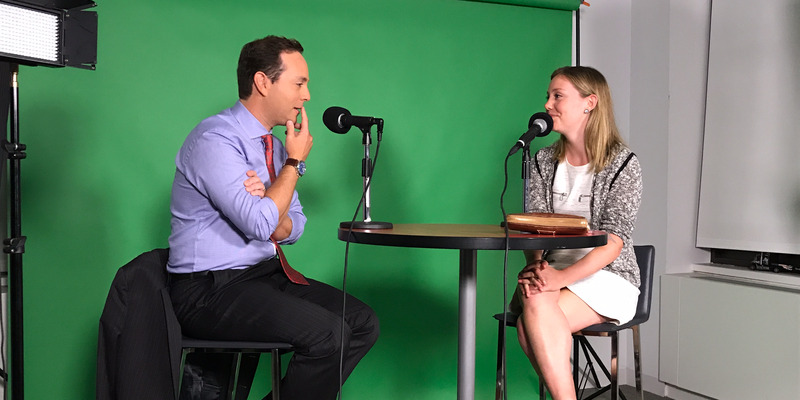 If you’re hunting for more career advice, inspiration, and stories of getting to the top, subscribe to the podcast on Apple Podcasts,Google Play, Radio Public, or wherever you listen. The following interview excerpts have been edited for clarity. Zillow launched with an innovative feature, the Zestimate. It was the first time anyone could look up the current value of their home, and their friends’ homes. This feature alone got the company a ton of launch press, and a million visitors within its first 24 hours. Rascoff: We said: “Let’s try to figure out what every house in the country is worth. How do we do that?” Most of this information – bed, bath, square footage, tax assessment, sale history – is available in county courthouses, but we had to go acquire it, digitize it, and then build the data layer, the Zestimate, that sits on top of that. And when we launched in, I think it was February 2006. We got about a million visitors within the first day. I still don’t think any other service – Snapchat, Facebook, whatever – I don’t think anyone else has had a million users in day one. Because it’s so cool and so innovative to say, “Oh, my god, I can grab my kid’s school roster and I can Zillow everybody at my kid’s school and see what everyone’s house is worth, see what everyone paid for the home.” That was just, like, this, “Oh, my God” kind of thing that launched the company in 2006. Tinder turned a college student’s birthday with 500 attendees into a “Tinder party.” The students were not allowed to board the party bus until a bouncer made sure they had downloaded Tinder’s app. 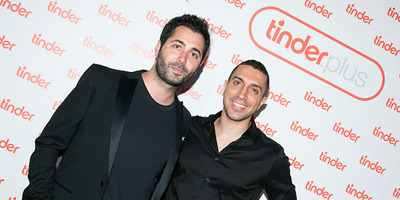 Gabriel Olsen/FilmMagicTinder cofounders Justin Mateen and Sean Rad. Rad: Justin’s younger brother was throwing a birthday party for his best friend at USC, and he had a bus going from USC to his parents’ home. The bus was going back and forth, so a total of about 500 students. Justin called me one day and said, “Let’s pay for the bus and call this a Tinder party.” So we paid for the bus and put a bouncer at the door and told every student that they couldn’t walk in unless they downloaded Tinder. You’d literally have to show Tinder on your phone. So about 400 people downloaded Tinder at USC. They went home and opened the app and started matching with each other. It really created a phenomenon within USC. In the beginning of January we had about 20,000 users, and at the end of January we had 500,000 users, all organic. The growth curve was unimaginable. It was pretty amazing. 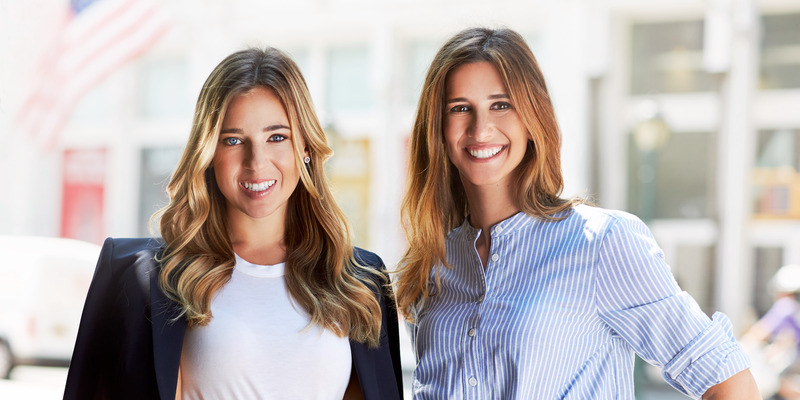 TheSkimm was featured on ‘Today’ after the founders send a blind email to Hoda Kotb, and actually got a response. Courtesy of theSkimmTheSkimm cofounders Carly Zakin and Danielle Weisberg. Weisberg: We emailed every news anchor out there. We were like, “We’re former NBC-ers, thought you would love this, thought you would appreciate the need that we’re solving.” Hoda Kotb responded, and she said, “I’ll check it out!” We didn’t know her. We followed up with her two more times, but got no response. Day four of us in business, she said we were one of her favourite things – on air – and it totally changed our life. We went from, at that point, let’s say, under 1,000 users to thousands. All of a sudden, we had geographic diversity. And all of a sudden, we had huge pockets of the country paying attention to what we were doing. Shontell: Wow. What does a Hoda bump do to your newsletter subscribers? Zakin: It crashed our site. It crashed our email inbox. We got a few thousand people from it. It was life-changing. Paypal stumbled onto its payment product after a bunch of pivots when eBay users started using the service constantly. At first, the founder thought it was a problem and tried to stop them. Then he realised he’d found product-market fit. 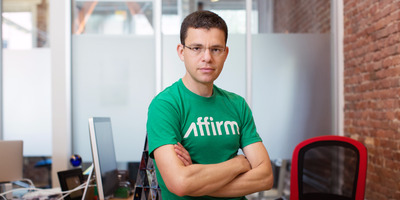 AffirmAffirm founder and CEO Max Levchin. He said, “I think that’s what they call market pull. I think all these people trying to pay online, they don’t have any better choice than your haphazardly put together demo.” And so the last pivot of Paypal was pulled into its final shape by the eBay public. Dropbox found a way to gamify sign-ups, before it was the cool thing for silicon Valley startups to do. It offered free storage space in exchange for referrals. 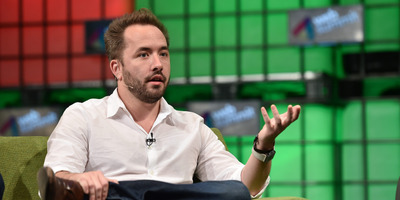 Ramsey Cardy/SPORTSFILE via Getty ImagesDropbox founder Drew Houston. Houston: We made a demo video for Dropbox. That was how we got our first couple hundred thousand users. But what ended up really working was we had this incentive referral program, so that if I invited you to Dropbox, you would get some free space, I’d get some free space. So that two-sided incentive and kind of gamifying ended up making something that was otherwise a single-player utility into something people used for sharing, that spread virally. 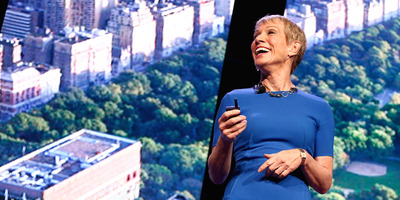 Real estate mogul Barbara Corcoran made one of her first-ever listings stand out with a catchy, a one-line ad in the New York Times. Brian Ach/GettyReal-estate mogul turned ‘Shark Tank’ star Barbara Corcoran. Corcoran: And I looked and looked and looked at the New York Times ads and saw there were hundreds and hundreds “One bedroom 320 month,” “One bedroom 330 a month,” “Doorman one bedroom: 340 a month,” and they all looked alike. And so I went back and said, “Could you build a half wall between the L and the living room so I could advertise as ‘One bedroom and den? '” So that Sunday, my ad went in even before the wall was built, “1 BR Plus Den: 340.” It fit on one line, right margin, and I probably got 80 phone calls that next morning. 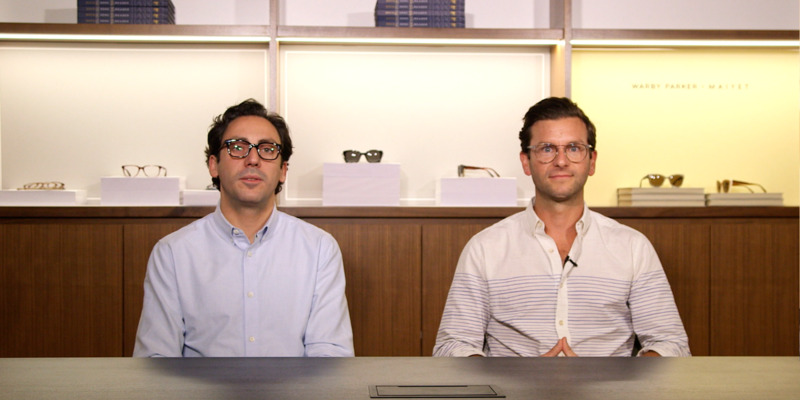 Warby Parker worked the press to land a write up in GQ for its launch. But the founders didn’t realise that the March issue doesn’t come out in March — it comes out in February. So they had to scramble to get their site live. Then all their pairs sold out. Business InsiderWarby Parker founders Neil Blumenthal and Dave Gilboa. We were going to be in the March issues of GQ, and it was February. We thought, “Oh, we have a whole month.” Just to show you our naiveté, it was like, “No, the March issues comes out in February.” We literally scrambled, got the website up. We ended up hitting our first-year sales targets in three weeks – sold out of our top 15 styles, had a wait list of over 20,000 people. It was mayhem and the question is, “How do we maintain that momentum?” When we got those features in Vogue and GQ, it was literally that moment that the business took off. I think founders and CEOs often take credit for being the smartest people in the world, but so much is serendipity and timing.